As far back as 2005, veteran comic book writer Paul Jenkins (Replica) was ahead of the curve. He envisioned a comic series with truly diverse characters from a diverse set of creators. His inclusive world-view was influenced by his gay single mother. His vision for a transgender protagonist was crystallized after a chance meeting with a fan. 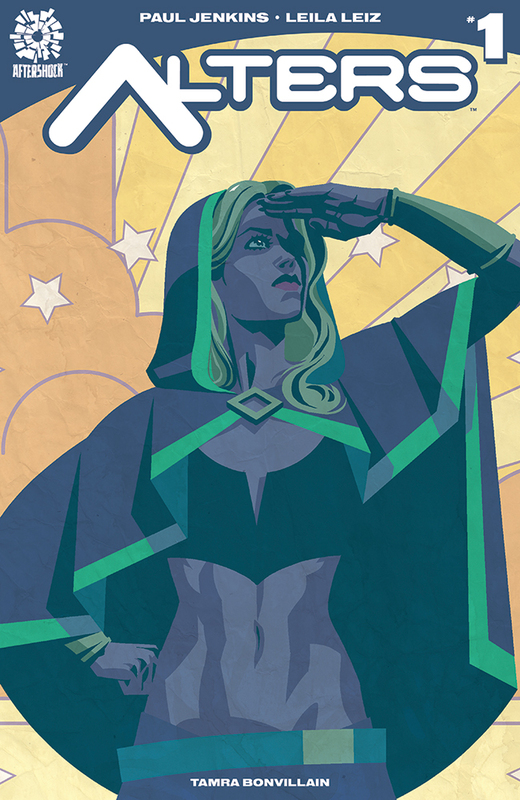 This September AfterShock Comics will introduce the first transgender superhero in the pages of 'Alters' making Jenkins' passion project a reality. Charlie Young is hiding the fact he's beginning to transition to female from his family. Charlie is also an emerging "alter," a powerful mutant species that gives her the ability to manipulate gravity in order to fly. It's only as Chalice the superhero does she feel as her true self. 'She can only be herself when she’s not herself' is how Jenkins explained Chalice to the New York Times. It's a premise that came from a fan, Liz Luu, at a convention panel in 2014. 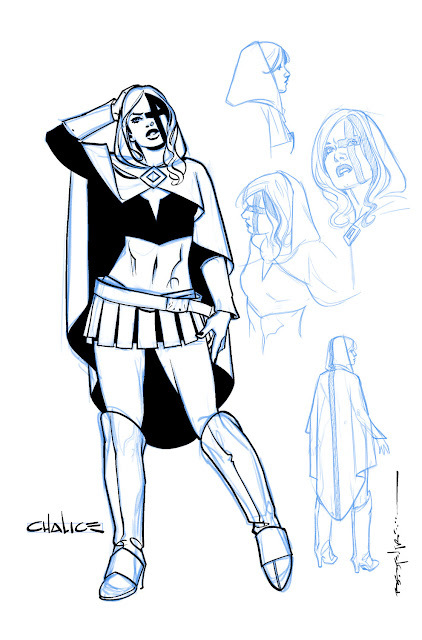 While Chalice's groundbreaking storyline will be a focal point for obvious reasons, 'Alters' also takes persons with perceived disabilities and makes them into powerful figures. "The most important thing in approaching this book is for me to concentrate on these characters as heroes and villains, and to let these things come out during the process," he said. The eclectic pool of talent involved in producing 'Alters' besides Jenkins includes Brian Stelfreeze (Black Panther) on covers, Leila Leiz on interior art, and transgender woman Tamra Bonvillain (Nighthawk) as the colorist. Make sure to have your local comic book shop reserve your copy today. 'Alters' #1 hits stores and digital on September 7, 2016. From a diverse team of creators composed of differing genders, gender identities, ethnic backgrounds and sexual orientations comes a groundbreaking new series featuring the world’s first transgender superhero! As the world struggles to accept the emergence of a new kind of mutant species known as alterations, or “Alters,” a young woman begins her transition from male to female only to find herself also transitioning into a powerful Alter. Faced with persecution by the multi-powered fascist known only as Matter Man, she will face the world as Chalice--a hero for a new age. But as Chalice navigates the path to becoming her true self, she must juggle the complications of her civilian life and the responsibilities of her newfound power. This groundbreaking series--years in the making--begins the saga of a young woman who can only really be herself…whenever she is not herself. I have to get this. This is great! But so not the first.